M. Shane Harvey is a Member of the Firm and practices out of the Firm's office in Charleston, West Virginia. He is on the Firm’s Executive Committee and leads the Firm’s Environmental Practice Group and Coal Industry Group. He frequently litigates commercial, environmental and energy matters and counsels clients on a variety of compliance issues. 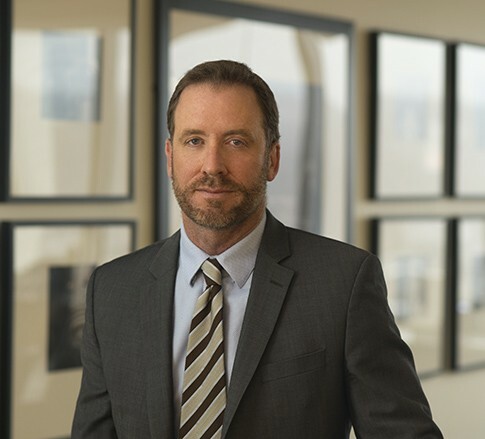 Shane has significant experience in both law and business, having served as in-house counsel and general counsel for energy companies for more than a decade. Shane understands the need for practical legal advice from the client’s perspective – he knows his clients want the right answer, as quickly and as cost-effectively as possible. Shane also understands the industries he serves, with years of on-the-ground experience. Shane is as comfortable in a hard hat and steel-toed boots as he is in a court room or board room. Clients rarely encounter a problem that Shane has not already seen. It also does not hurt that Shane is someone people cannot help but like – courteous, funny, and yet still professional, he can talk to clients about anything from golfing to gardening. In his spare time, Shane has coached youth sports in Putnam County, West Virginia, and established a student scholarship in Summers County, West Virginia. Shane is not an open book though. What’s the “M.” stand for? He’ll never tell. DO I HAVE A POINT SOURCE?